Of all our economic development strategies, investing in our workforce is the one that has the greatest returns on investment. By funding higher education, New Jersey can directly support our employees and future workforce to be more productive while also creating new opportunities of employment for these individuals. 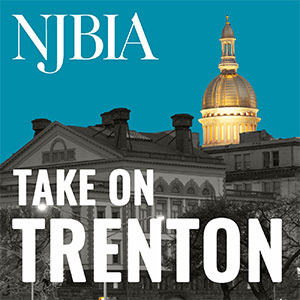 NJBIA believes an affordable post-secondary education is critical for the state economy to address the skills gap. Employers are overwhelmingly looking for job applicants with a post-secondary education, according to our 2016 Business Outlook Survey. While 77 percent of businesses surveyed said they were very or somewhat likely to recruit from a four year college or university, businesses also said they were very or somewhat likely to recruit from a community college and a county vocational school (80 percent and 74 percent, respectively). However, only 49 percent of young adults (age 25–34) and 46 percent of working-age adults (age 35–64) had an associate’s degree or higher in 2014, according to the University of Pennsylvania. Attending New Jersey’s low-cost public two-year colleges provides a good education at a real value, but New Jersey can do more to make higher education more affordable. For starters, ensuring our institutions are encouraging our future workforce to graduate on-time is critical. Less than half of our students graduate from a four-year institution in four years, and many end up not graduating at all. This leaves them with an accumulation of debt that constrains economic opportunity, with or without a degree in hand. No single action can increase completion rates, but tying state funding to the number of students who graduate on time would help hold universities accountable. Early college and dual enrollment programs are another way to reduce redundancy in education while also rewarding student learning. More high school students should be allowed to earn college credit by taking college courses at their own school, online or at their local post-secondary institutions. These programs directly reduce the time and the tuition cost to complete an associate’s or bachelor’s degree, and is growing in popularity at many comprehensive and vocational high schools. According to the U.S. Department of Education, dual enrollment programs have shown to increase the chances of high school completion, college enrollment, and degree attainment for students from low-income backgrounds. To discuss this further, New Jersey Association of State Colleges and Universities will host a symposium on this very topic at the Montclair State University Conference Center on October 28 entitled “Making Room With a View to the Future.” Join me along with many higher education leaders as we discuss this important topic and plan for New Jersey’s future.